Need To Sell Your House In Hampton Roads, Virginia? We buy houses and we are here to take the stress out of selling your house. If you’re thinking about selling your home quickly, we’ve got you covered because we buy houses in the Hampton roads area. Selling your house doesn’t have to be an expensive and complicated process. We are here to take the stress out of selling your house. As a local, veteran operated business we are committed to the highest standards of quality and integrity. 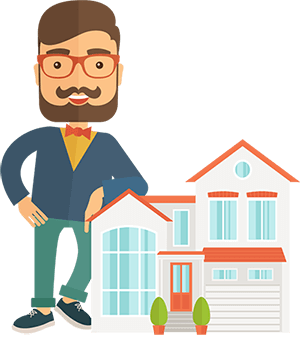 Regardless of the property’s condition or your personal situation, we do our best to take over the burden of that unwanted property by providing quick and fair cash offers in Virginia Beach, Norfolk, Chesapeake, Hampton, Newport News, Portsmouth, and Suffolk. Enter your property and contact info on our simple two-step no obligation form. We will contact you within two hours to talk about your property and answer any questions you may have about selling your house. We will set up an appointment to meet with you at your property and make you a fair offer for your house within 24 hours. It’s that simple! You don’t have to worry about being locked into a lengthy listing agreement with a Real Estate agent, costing you more money and valuable time. VA Real Estate is your solution to problems regarding selling your house. We have been helping hundreds of homeowners successfully sell their homes over the years. We assist them to sell at fair prices, with the least of fuss and swiftly. We buy houses for cash in the Hampton Roads area including Suffolk, Hampton, Newport News, Portsmouth, Norfolk, Chesapeake and Virginia Beach. Families with various real estate challenges have found reliable solutions at VA Real Estate solutions. Our expertise, compassion, and experience are incomparable; you get the best. In case you find yourself in situations like foreclosure, call us for a quick consultation. We buy houses in Hampton Roads and from those in need to sell fast at reasonable prices without suffering loss. Your reason for selling doesn’t matter; we will help you as professionally as possible. For those facing foreclosure, one solution is to sell your house so as to start over and get a better housing solution. This can also help keep your credit report clean from bankruptcy and foreclosure. We can update your payments and in many cases offer some equity from selling your house. Talk to us to get a better value on your house instead of letting go into foreclosure. If your house needs renovation and repairs before selling, we can take care of the expenses on your behalf. Just call us, and we will buy it as it is. We buy houses in the Hampton Roads no matter the condition. Let us take care of the hassle of renovating. Many people stress over selling their house when a new job forces them to move to another part of the state or country. It is so stressing getting a good price on short notice. And if you don’t sell, managing a second mortgage can be a real challenge. This is where we come in to relieve you of the problems associated with transfers or relocation. Let us help you by buying the house to free you to look for another one wherever you are headed. We buy houses in Suffolk, Portsmouth, Newport News, Hampton, Norfolk, Chesapeake and Virginia Beach. When you lose a loved one, the death is so tragic that you don’t want to add the stress of selling the estate to it. This can become unbearable to most hence the benefit of contacting VA Real Estate solutions. Inherited homes, on the other hand, can take months to sell, but when you give the challenge to us, we can purchase it from you very fast to allow you move on with your life. In divorce situations, we come in to help with selling the real estate properties. The parties may be too emotional to negotiate a good deal or maybe just want it done with. We are here to buy your house so that you can be free to go on with separate lives without the unsold property hanging over your heads. Couples who must sell because of divorce rulings living along Hampton Road can talk to us for a quick sale. As a landlord, you may get exhausted from the long hours managing and maintaining your houses, regular complaints from tenants and the state regulations compliance. We can buy the house from you and sell to make you free and even get some equity from it. You don’t need to shell out any more money for maintenance purposes. Even if you have multi-unit properties, we can buy it. The real estate market today is very slow; one can wait for months before closing a sale. The wasted time can cost you a lot of money since the market may regain vibrancy but with low asking prices making you lose value in your house. Selling to us will put money in your pockets instead of the pockets of mortgage companies and banks. We buy houses and sell your house at low brokerage fees and fast. In a matter of hours, we will have given you a fair offer for your home. The fear of not having sufficient equity in a house makes many homeowners think they cannot sell their homes. They usually raise the asking price to cover the cost associated with selling. When dealing with us, you don’t have to be afraid of low equity; we will buy your house along Hampton Road. It is so easy when dealing with VA real estate solutions, we buy houses and sell your house in as little as a week; we are that fast. Fill out an online request form on this page or just pick up the phone and call us at (757) 304-0058.